Hollywood | The Cool Zone!!! 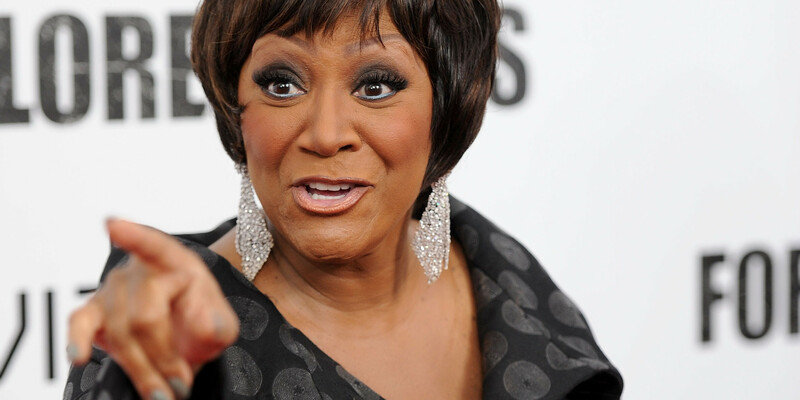 Patti LaBelle made sure everyone knew she was not to be played with this past Friday night. The legendary singer was in Vancouver for a concert when she invited a few fans onstage to sing and dance but one ambitious fan decided he wanted to do something a little extra special for the show. The fan started to undress as he was dancing to LaBelle’s smash hit ‘Lady Marmalade’ and she WAS NOT having it!! As Labelle, 71, told the dancer to stop she said… “I am not Nicki Minaj or that little uh, Miley” of course referring to Hannah Montana herself, ‘Wrecking Ball’ singer, Miley Cyrus which made the crowd erupt cheer. The fan was then taken off stage by security who LaBelle had initially waived off, wanting to give the fan a second chance. Check out the link below for the awesome video of this altercation courtesy of TMZ. Best Selling Novelist Jackie Collins Has Passed Away. Renowed novelist Jackie Collins has died at age 77 after losing her long battle with breast cancer. Collins, who was diagnosed with Stage 4 breast cancer six and a half years ago was a trailblazer for women in fiction writing and a true superstar. She had a lovely, fascinating personality. Collins lived a complete and full life and she was loved dearly by her fans. While Collins was a very successful writer, her greatest joy came from her family including her sister, legendary actress Joan Collins, her brother Bill, her three daughters, Tracy, Tiffany, and Rory, and her grandchildern. Actor Lee Thompson Young Commits Suicide!!! Actor Lee Thompson Young Commits Suicide. The former Disney star known from his starring role in “The Famous Jett Jackson” and as Victor “Cyborg” Stone in the teenage Superman drama “Smallville,” was currently beeing seen on TNT drama “Rizzoli & Isles.” Young was found dead of an apparent self-inflicted gunshot wound. He was 29 years old. Hit the box up top for the link.